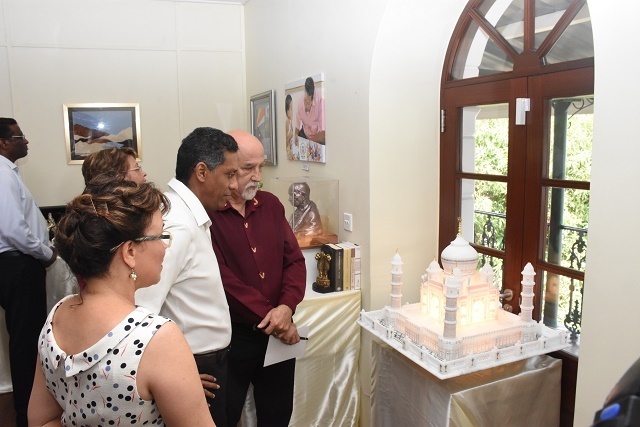 (Seychelles News Agency) - A ‘Gifts of State’ exhibition opened its doors to the public on Tuesday, the second anniversary of the inauguration of President Danny Faure as the Head of State and Commander in Chief of the Defence Forces. The exhibition will be opened for a month at the Mayor’s Office located on State House Avenue, Victoria from 9 a.m. to 4 p.m. on weekdays. It comprises over 160 gifts that the president has received during the last 12 months. 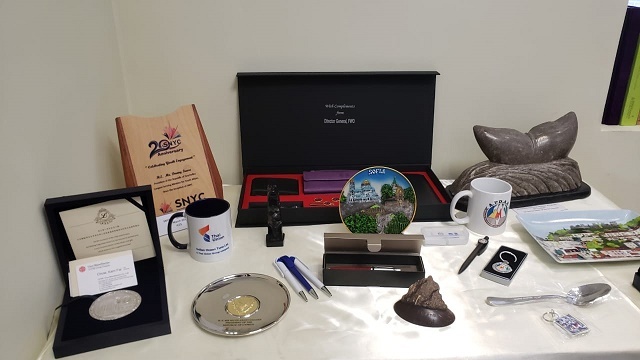 The gifts were handed to Faure during the state visits he undertook and from visiting heads of states and dignitaries, local and international organisations and even from individuals. The gifts range from art pieces, books, vases to historical replicas. “Some gifts can be put on display in an exhibition but there are gifts that are more intangible such as mutual trust, understanding, support and fraternity, that binds us together as a nation, and that also exists between our people and those of other countries,” said Mohammed Afif, the Secretary of State for Cabinet Affairs during his speech to open the exhibition. Afif added that this exhibition symbolises transparency, accountability and good governance, the hallmarks covering every aspect of the president’s leadership. “Transparency and good communication have been his key hallmarks and that includes his press conference which he holds regularly. A lack of transparency gives room for doubt, distrust, rumours and discontent which retard national development,” said Afif. Faure was sworn into office on Sunday, October 16, 2016 to become the Seychelles’ fourth president since the island nation gained independence from Britain in 1976. He succeeded outgoing President James Michel, who resigned. The curator of the exhibition, Emmanuel D’Offay, said that objects in the exhibition vary in value and quality. Gifts received by the president during his first year in office will be placed in a designated area called ‘the Presidential Room’ at the Natural History Museum. 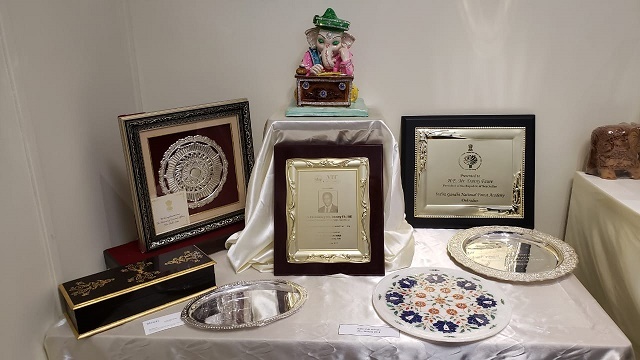 After six months, the second set of gifts will be placed on display at the same museum to give the public and tourists the chance to see these gifts. “The gifts will then later be moved to State House, as they are the property of State House. The idea is that when the president leaves office, these gifts remain. It is unfortunate that gifts of former presidents were not kept at State House,” said D’Offay. Speaking to the press after viewing the exhibition, an invitee Rose-May Amade, said that the exhibition is a good initiative. “The exhibition should be done every year as it shows the public where the president has been and what he has received. It is very interesting with objects from different countries. I appreciated a picture, the Mahatma Gandhi as well as a tea set from Botswana,” said Amade.